Recently I posted a tutorial on how to Upgrade your Tecno C8 to marshmallow. For all those who have already upgraded, am pretty sure you might be finding it difficult to root your phone since the OS is still pretty new and there is currently no app to help you automatically root it. Fortunately, the Hovatek Team has already ported a custom recovery for this phone so In this post am just going to put you through on how to manually root your device through the recovery mode. >>VCom preloader Driver. for instruction on how to install Click HERE. 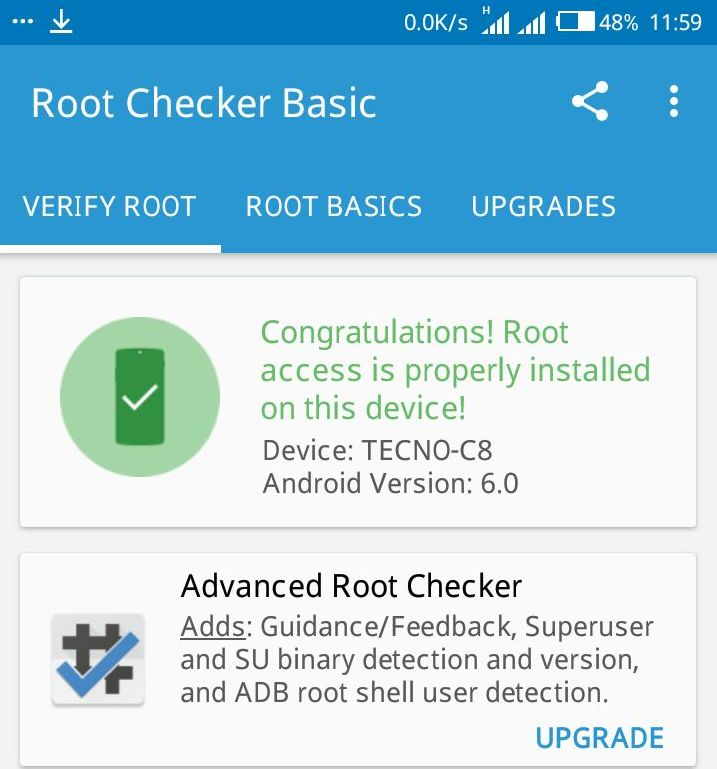 ==> Tecno Camon C8 6.0 Marshmallow CWM recovery. Download it HERE. With all that in place, let's go ahead with the tutorial. ==> Download Supersu.zip and copy it directly into your sdcard(don't put it inside any folder). ==> Download the CWM recovery to your PC and extract , preferably to your desktop. ==> Click on Scatter loading at the top right corner of the app. ==>Locate the extracted recovery folder on your pc and load the scatter file (open the scatter.txt). ==> Click on download on the SP flash tool or press F10 on your keyboard. ==>just wait for a few seconds for the recovery to be flashed into your phone. ==>After that, Unplug your phone from the PC and boot into recovery by pressing Volume UP+ Power button. ==>Choose install zip from sdcard from the CWM recovery menu. ==> Select the SuperSU.zip file and click on yes to install. ==> Reboot your phone after CWM have successfully installed the zip file. Note: In CWM recovery mode, you navigate with your volume rockers and select with the power button. Congratulations!! You have just successfully rooted your device. 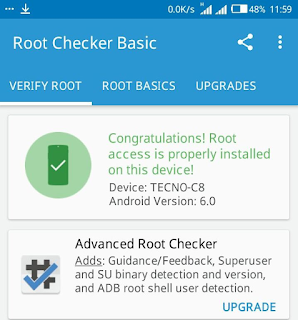 To confirm if your device was successfully rooted, you can download root checker from play store. good morning.... I ave flashed cmw into my camon C8 6.0 ND ave installed d super su ..bt now my fone gets stuck at experience smart life.. wat can I do?